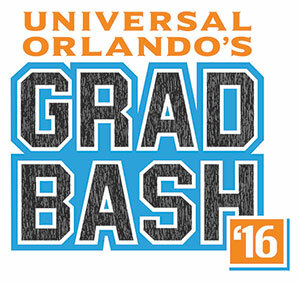 Turn your 8th Grade Graduation into an Adventure at Universal Orlando! GRADVENTURE Dates are now available! 1 FREE chaperone per 10 paid students! Combine your Eighth Grade Graduation with Universal's Islands of Adventure Theme Park in Orlando, Florida, and you get one great experience! Early admission into Universal Studios at 4PM. Meal Voucher included with ticket price. After so many years at elementary and middle school, young students are finally ready to take it to the next level of high school. Before they make the transition however, a celebration must take place. Universal's Gradventure is the best place for middle schoolers to go. Universal's Grad-Venture is available ONLY to graduating 8th graders of 10 or more, from the same school. *All groups must have a least 1 adult (age 21 or older) chaperone. One chaperone ticket is available for every 10 student tickets purchased (example 70 student tickets = 7 chaperone tickets). **Additional chaperone tickets can be purchased at the student rate.